I attended a photo seminar last weekend and it really opened my eyes to a lot of techniques I just never explored, or otherwise had forgotten about. I will admit, Iâ€™m a bit â€œbull-headedâ€™ about things at times and my love affair with Photoshop has been one of them. Itâ€™s the industry standard, why question it? 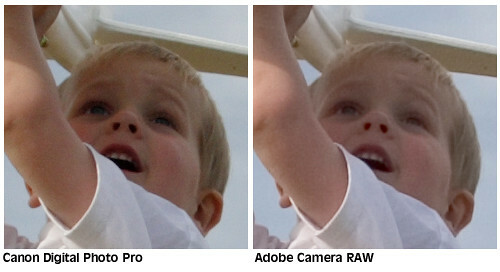 It has been a long standing argument with me and a co-worker that Photoshop Camera Raw is superior to Nikon Capture (Iâ€™m a Canon user, so Iâ€™ll admit my first hand expierence with Capture is limited.) I have watched all the training videos and read the PDFs on how to use Camera RAW and just accepted that it was the best solution, till this seminar. One of the shows â€œkey sponsorsâ€? was CaptureOne from Phase One. I have always heard great things about CaptureOne, but I still chalked up the â€œvast praiseâ€? for CaptureOne at this seminar to the fact that they were one of the people paying the bills. One quote from the show was, â€œPhotoshop is a great photo and design tool, but it doesnâ€™t do RAW conversion as well as a dedicated RAW tool.â€? I played around with a recent picture that I wasnâ€™t â€œwildâ€? about the final image in DPP and then opened it in Photoshop Camera RAW and gave it the amount of attention I would normally given it to produce the best image I felt I could (which is much faster then using DPP). The difference in the two images is dramatic! 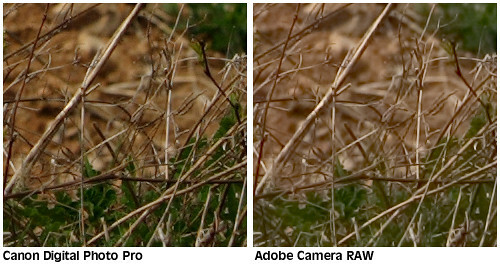 Iâ€™m floored at the difference in the Canon Digital Photo Pro software. I hate to say it, but itâ€™s true. The Canon processed file is much richer and more detailed. 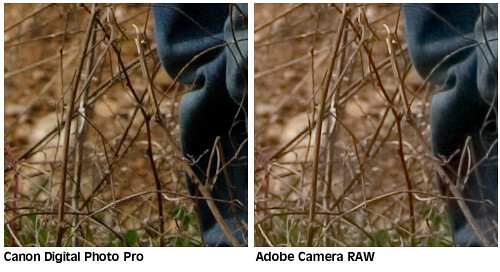 Take note of the branches, they appear to have Chromatic Aberration on the Camera RAW file and are a little mushy. The color is also more vivid and brilliant in the Canon file. Now, could I make the Adobe File look more like this? Probably. But, why when it seems like Canon Digital Photo Pro yields a richer, better file? 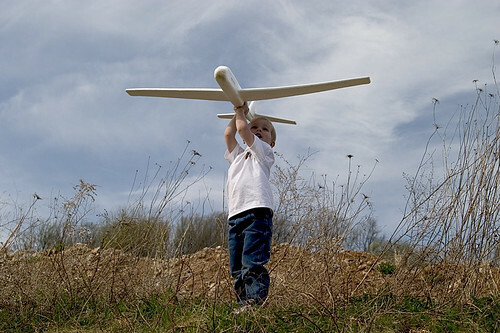 Now Iâ€™m curious to try CaptureOne Pro!